Here we are discussing about an online home based career -Virtual Assistant (VA). This is a service based career which can be personal, administrative, technical or even social. Virtual assistance is assistance that is provided by phone, fax, e-mail, or even instant message. Opportunity to provide Virtual assistance are endless it can be as office or personal assistant services. Those professionals who provide these assistance are known as Virtual Assistants (VA). Virtual Assistants are mainly home based service providers who offer online administrative, technical, creative and social assistance to companies and businesses. Often that means handling similar tasks as that of an Office Secretary or manager, but doing them from a home office. The main advantage of this career is that you can work from the comfort of your own home or another location of your choice. Virtual assistant jobs offer flexible working arrangements. If you are a good organizer and have excellent time management skills, you can do several virtual assistant jobs in different fields and support multiple clients. The type of virtual assistant work you do depends on your personal interests and the clients you choose to do business with. In the Virtual Assistance field you could do work involving writing, data entry, scheduling, blog posting, promotion in social media, accounting, marketing or even graphic design or web design. Virtual Assistants (VA) can specialise in a particular area of service based on their skills. For example A virtual assistant with strong writing and editing skills may offer both writing and editing service, and that too in a particular field, such as real estate, and work only for clients who work in real estate. As a virtual assistant, you are not likely to meet your clients. Your clients may be in your own town, across the country, or halfway around the world. All your communications will be online from a remote location, usually ones home. To become a virtual assistant you need a laptop/computer with good internet connection, a quiet place in your house, phone-line, fax-line, printer, and a website to market your business. Basic computer skills and Internet skills are essential. There is no specific educational qualification or certification to become a virtual assistant. Educational requirements typically vary by employer depending on the employer's needs, the type of business that you work for and the specific project. Virtual assistants usually have experience working in a business setting as an administrative assistant, office manager, secretary, or in a similar position. Personal skills that a VA must have is good time management skill and correct usage of language and grammar. Creativity, initiative, good judgment and the ability to communicate effectively are some of the skills necessary to succeed in this job. You must be ready to help people and have organization skills along with good communication skills. General computer knowledge including word processing, spreadsheets, databases and email are also essential as it is an online job. Other skill requirements needed are motivation, ability for team work, customer service skills, writing skills, business acumen, internet skill. You must be able and willing to keep up-to-date with the advances in technology that directly affect you and your clients. People are very busy and often have so much to do but not enough time to get it done. That is where a virtual assistant comes in. Working with a virtual assistant can be the perfect solution when you need specialised ongoing help to grow your business but don’t need a full-time employee, or when you need a occasional specialist for an important project or two. Depending upon the client requirement virtual assistants can choose their career specialisation. They may undertake administrative work as well as personal tasks. Some of the main jobs are data entry, online research, event planning, answering emails, setting appointment, internet marketing and sales support, paralegal services, managing social networking sites, creating blogs, e- newsletters and so on. 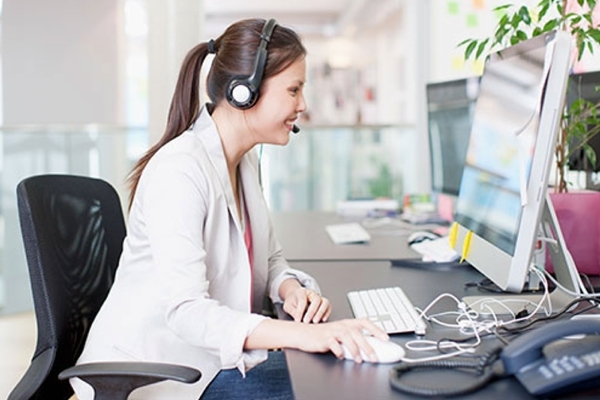 Small business entrepreneurs also employ virtual assistants as they often do not have the budget to hire a full-time, in-house administrative person, and pay an ongoing salary and benefits. Virtual assistants can work as freelancers or prefer to work for already-established virtual assistant companies. With experience one can even start their own virtual assistant company. How much you make as a virtual assistant depends on several factors such as the services you offer, your skill level, and your client. You can charge for your services, either by the hour, number of tasks done, project or package – explore what option works best for you and your clients.